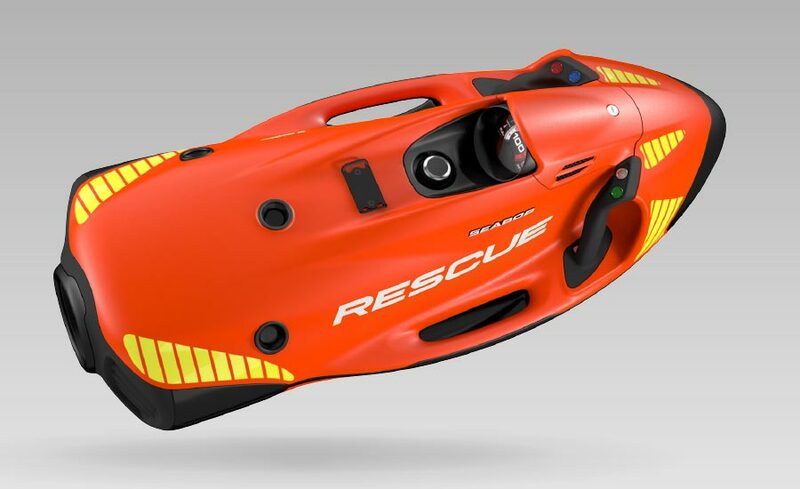 Much required rescue equipment can be easily carried with the SEABOB RESCUE. Specifically, there are various standard threads on the frontal utility platform and there are useful connections to fix accessories or towing equipment on the vehicle housing. 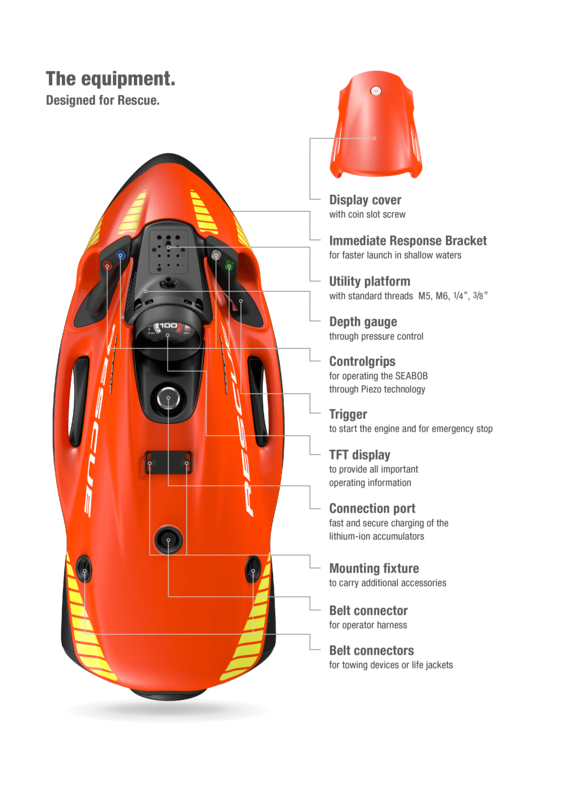 Also, the optionally available buoyancy compensation weights for diving missions can be attached to the lateral handles. In addition, the practical operator harness ensures the driver’s absolute safety, for example during rescue operations in currents or at diving missions. This connects the driver to the vehicle, leaving both hands free to take care of the casualty. In dangerous situations, the pilot belt system can be released within seconds by pulling the easily visible trigger band.